Established in 2012, Cayman Islands based RISA has swiftly grown to over 350 members. Focusing on delivering educational and networking events, RISA’s mandate is to investigate and share best practices amongst industry practitioners in the fields of insolvency, restructuring and litigation. The Cayman Islands is respected worldwide as an international financial services centre built upon solid, yet appropriate regulation, a legislative structure based on English Common Law and a stable political environment. It is the domicile of choice for the world’s hedge funds and private equity funds with over 10,000 registered alternative investment entities. RISA is made up of an Executive Committee comprising three board directors and a company secretary. Three Sub Committees (Education, Events and Legal & Regulatory) report into the Executive Committee. 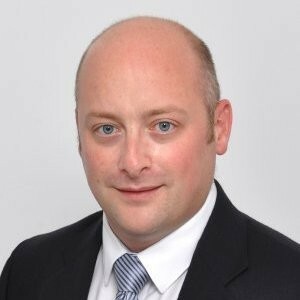 Hugh has been a partner with Grant Thornton since 2006 and heads Grant Thornton’s advisory practices in the Cayman Islands and BVI, and Grant Thornton’s offshore insolvency services. He has 30 years’ experience in restructuring, insolvency, and the financial sector and is recognised as an innovative expert in the management, restructuring, and resolution of non-performing debts and assets, with a particular emphasis on financial sector intervention. Hugh’s experience includes roles for the IMF, World Bank, and EU, as well as advising 8 national governments on restructuring, insolvency, financial sector intervention and related legislation. He is one of the major insolvency practitioners operating in the Caribbean, being appointed to multi-billion dollar insolvencies such as Stanford International Bank and the Saad Group cases. 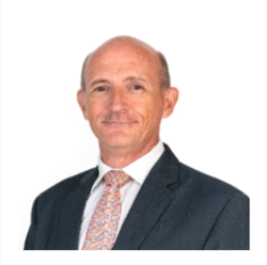 Hugh is the Chairman of RISA, the Cayman Islands association numbering over 180 lawyers and accountants specialising in the insolvency and restructuring business, is a member of the INSOL technical committee and is a member of the Cayman Grand Court Financial Services Division Users Group. Prior to founding his own company in 2012, Michael led Deloitte’s fund restructuring and liquidation team in the Cayman Islands. He has advised and liquidated a number of high profile investment funds and SPVs in the US, Europe and further afield. He is experienced in managing and dealing with investors, investment managers, administrators and custodians. His previous role gave him particular insight into fund governance best practice, valuation issues, developing complex and illiquid asset realisation strategies, secondary markets, cross border litigation, regulatory investigations and investor disputes. He is uniquely positioned to advise managers, directors and investors in difficult situations. He can also bring this experience to funds whose investors and investment managers share the same governance philosophy of having actively engaged directors and service providers, whether they are startup funds, emerging managers or well established names improving their governance structures. Margot is co-head of the Grant Thornton Specialist Services practice in Grand Cayman, and leader of insolvency and corporate recovery assignments in the Cayman Islands and Offshore. . Margot ignited her career over 20 years ago through her focused work on international cross border restructuring, insolvency and forensic matters. 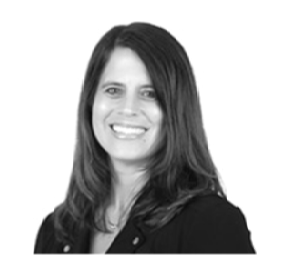 She leads the Grant Thornton team across global engagements and regularly accepts appointments by Cayman and BVI courts; Margot has been appointed a Chapter 15 foreign representative in a number of offshore cases and voluntary liquidation appointments. Her expertise involves assessing and establishing restructuring plans, detailed investigations, location and recovery of assets, securing and enforcing collateral internationally and working closely with creditors to establish strategy to maximise their return. Her work often has a cross border focus including work in Cayman, BVI, United States, Switzerland, Luxembourg, France, and Asia. Margot is a CPA, CFE, ACAMs and member of a number of professional associations including NBICA, CIIPA, IWIRC, RISA and Insol. The Education Committee is responsible for organising technical events for our members, including quarterly technical events, one day seminars and breakfast events. The Events Committee is responsible for organising social and networking events, including dinners, cocktail events, golf tournaments and other events. The Legal & Regulatory Committee is responsible for representing members’ interests in terms of changes to legislation, disseminating information from the Courts and promoting best practice approaches to liquidation related matters.